When we say “farmhouse”, what do you imagine? Creamy white shiplap? Rustic, reclaimed furniture? Maybe greenery and simple but beautiful style? Farmhouse style has come a long way from roosters and red checkered curtains. Thanks to a certain Texas-native, America has fallen head-over-heels with this charming style and we’re right there with all of you. 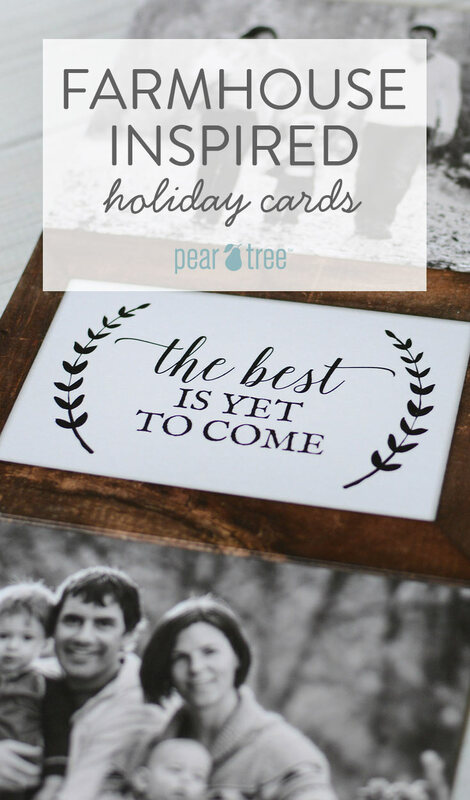 While designing our newest holiday photo cards, we found ourselves gravitating toward farmhouse elements. There’s something about natural touches like dark wood-grain and twigs and branches that just feel…peaceful. Sure, we love a glam and bold Christmas card but these farmhouse-inspired designs have us ready to take a little break from gold foil this year. If you’re Fixer Upper obsessed, you’re going to love our new Farmhouse Tidings Ribbon Booklet. The white shiplap creates a dreamy background for the sweet greeting, “Merry Christmas and Joyous New Year”. Have you seen our ribbon booklets before? They are, in a word – amazing. Seriously, your phone will be-a-buzzing with “your card is soooo cute” messages. The best part about this country themed card is that you can fit over a dozen photos on it. 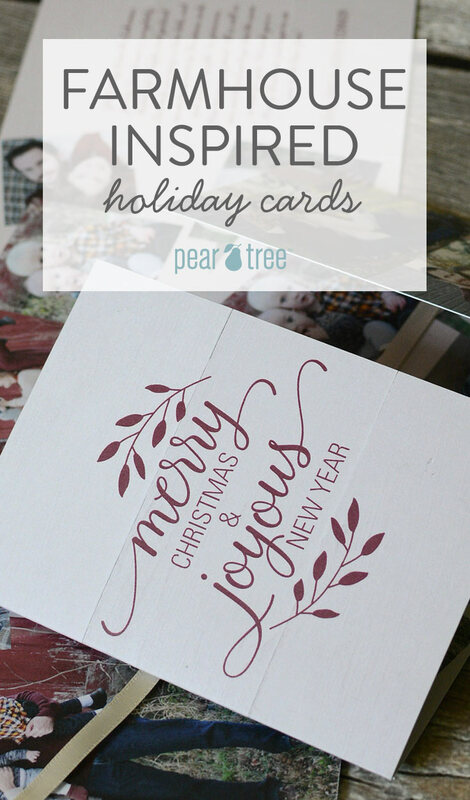 If you’re one that would rather send a New Year Card than Christmas Card, you’ll want to check out this new beauty. Isn’t the phrase “The Best Is Yet To Come” the sweetest? For a growing family, nothing is truer! The wood frame and hand-written font make this country Christmas card feel like a work of art. Merry Christmas, Y’all! Our best wishes for a peaceful and joy-filled holiday season.